Stanley Yacht Services: Boaters! Beware Hurricane Irene! 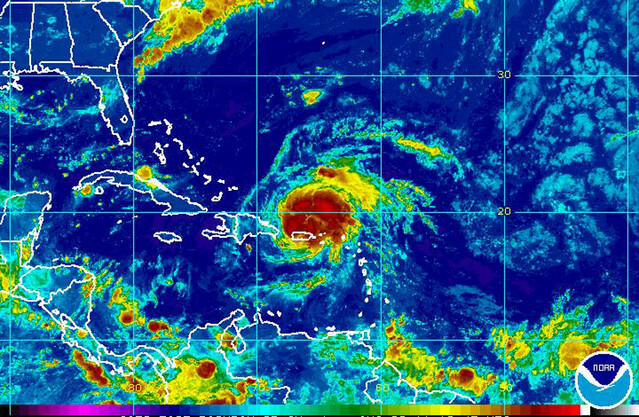 The Coast Guard has issued a stern warning to boaters as Hurricane Irene, the first of the year for the Atlantic region, advances towards South Florida. Click to read: Mariners strongly urged to prepare now for Hurricane Irene; Coast Guard sets port condition Whiskey in Miami, Fort Lauderdale. Stay off the water. The Coast Guard’s search and rescue capabilities degrade as storm conditions strengthen. This means help could be delayed. That is why boaters should heed to weather watches, warnings and small craft advisories. Secure belongings. Owners of large boats are urged to move their vessels to inland marinas where they will be less vulnerable to breaking free of their moorings or damage. Trailerable boats should be pulled from the water and stored in a place that is not prone to flooding. Those who are leaving their boats in the water are reminded to secure life rings, lifejackets and smallboats. These items, if not secured properly, can break free and require valuable search and rescue resources to be diverted to ensure they are not actually people in distress. Be prepared. Area residents should be prepared by developing a family plan, creating a disaster supply kit, having a place to go, securing their home and having a plan for pets. Information can be found at the National Hurricane Center's webpage. Stay informed. The public should monitor the progress and strength of Hurricane Irene through local television, radio and Internet. Boaters can monitor its progress on VHF radio channel 16. Information can also be obtained on small craft advisories and warnings on VHF radio channel 16. Be safe and keep a weather eye out, fellow mariners!